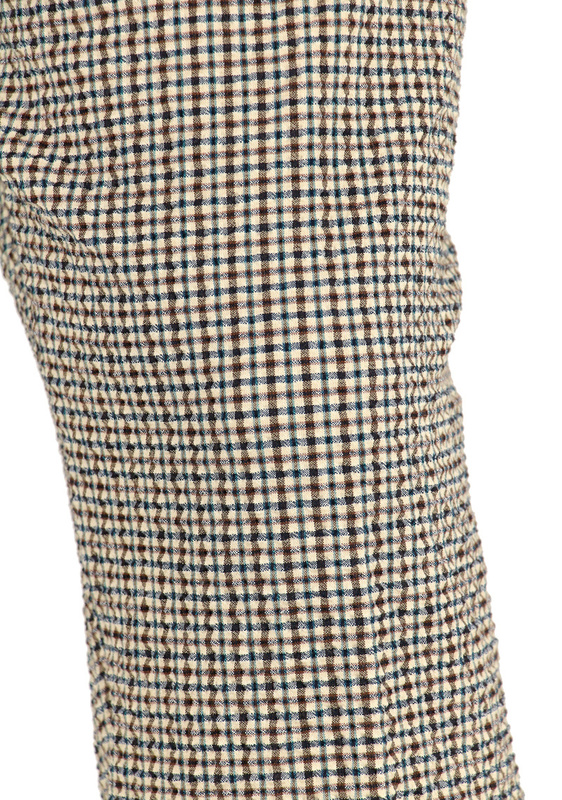 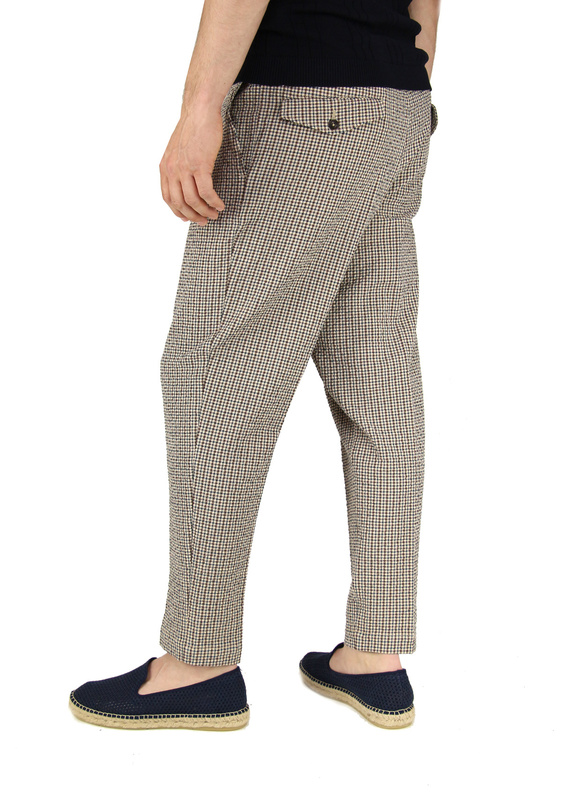 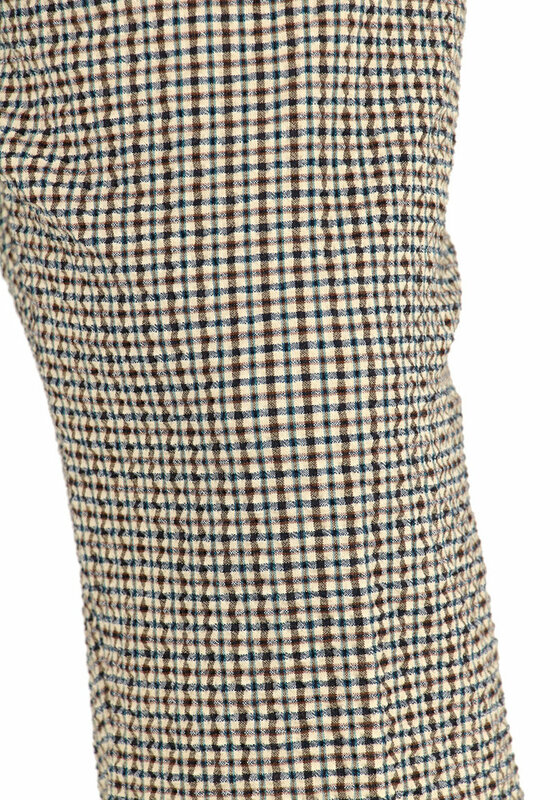 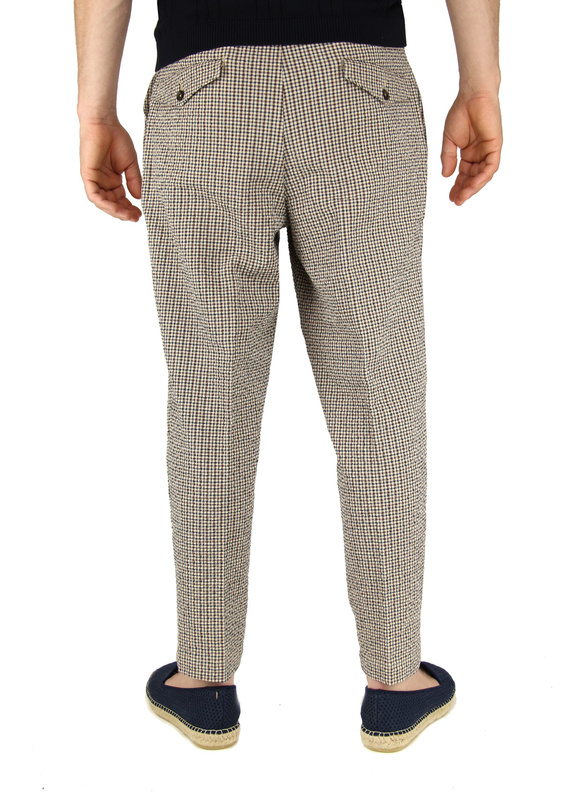 Blue / Beige / Brown Chino with a mini checkered pattern from the brand New England. 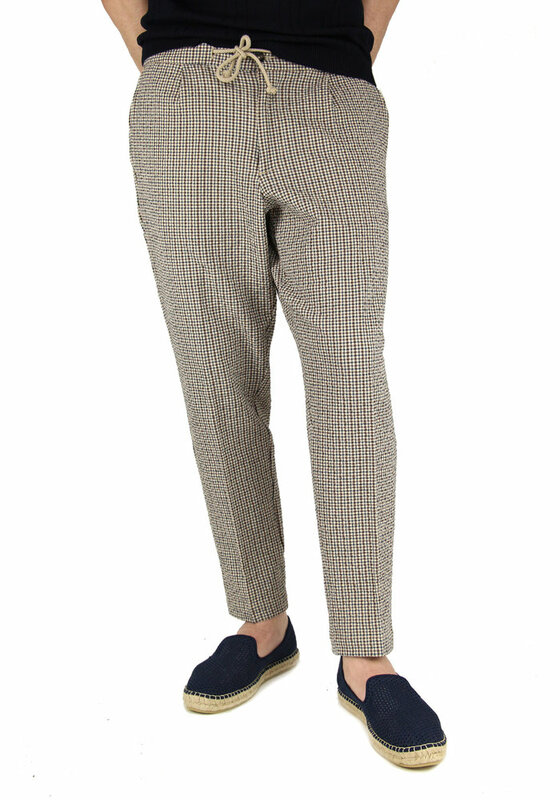 This chino has a loose fit and falls on the ankles. The lacing and the 'crepe' fabric give it a sporty look!